History: 50 year old male with shortness of breath and chest pain. Pericardial effusion: Lateral radiograph of the chest demonstrating the pericardial fat (yellow line) and epicardial fat (red line) with opaque density separating them, indicating pericardial effusion. See oreo cookie for comparison. 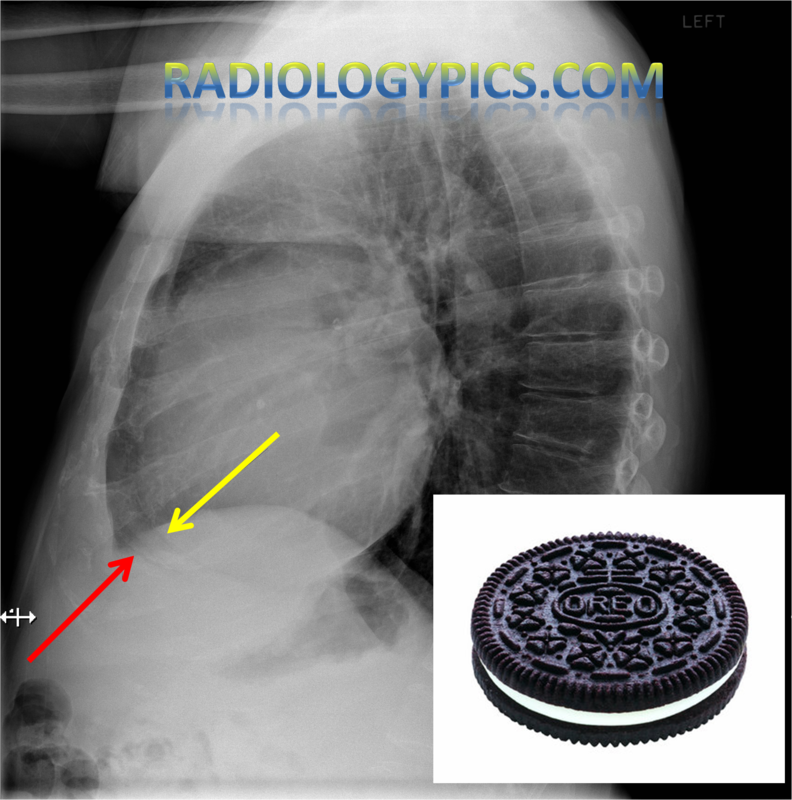 This is the classic “Oreo Cookie Sign” of pericardial effusion on the lateral chest radiograph. The most anterior radiolucent line (indicated by the red arrow) is the epicardial fat, the radiopaque line is the pericardial effusion, and the posterior radiolucent line (indicated by the yellow arrow) is the pericardial fat. Now go have some milk and cookies and reward yourself for learning something new today.